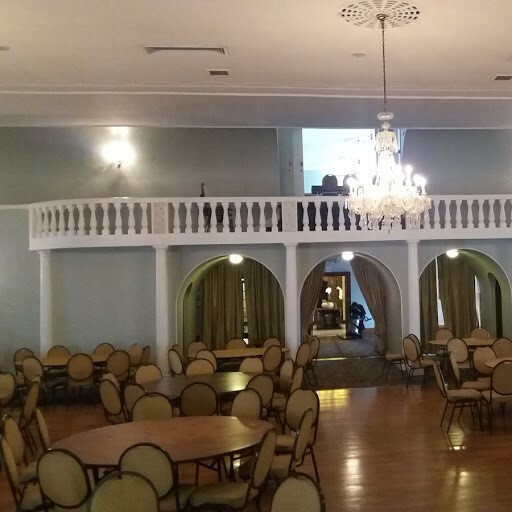 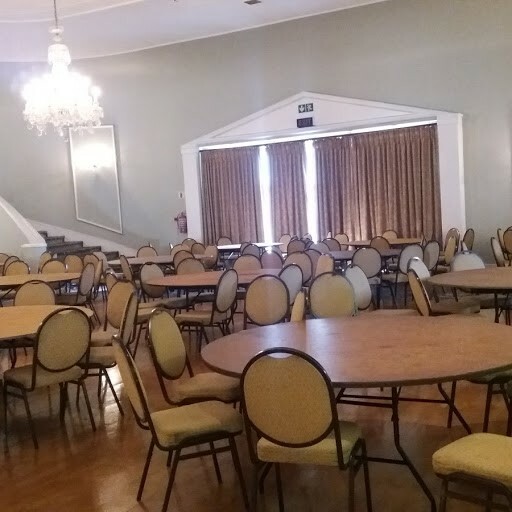 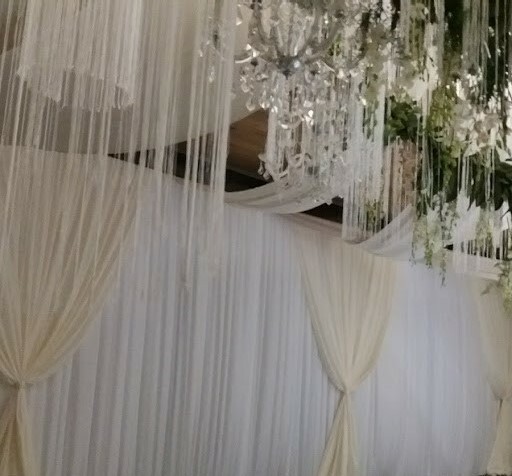 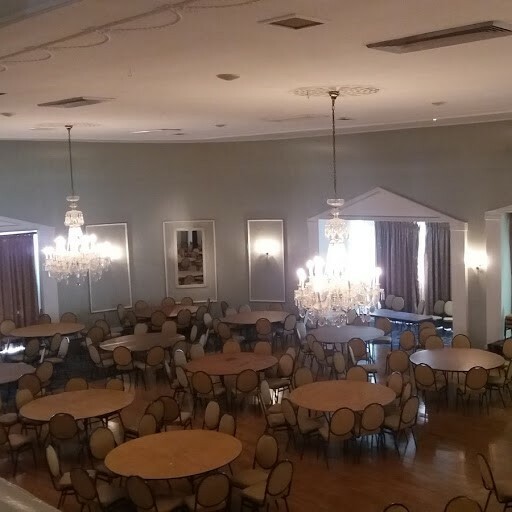 The Events Draping Co. offers inspired, unique events draping solutions that bring a sense of occasion to any function. 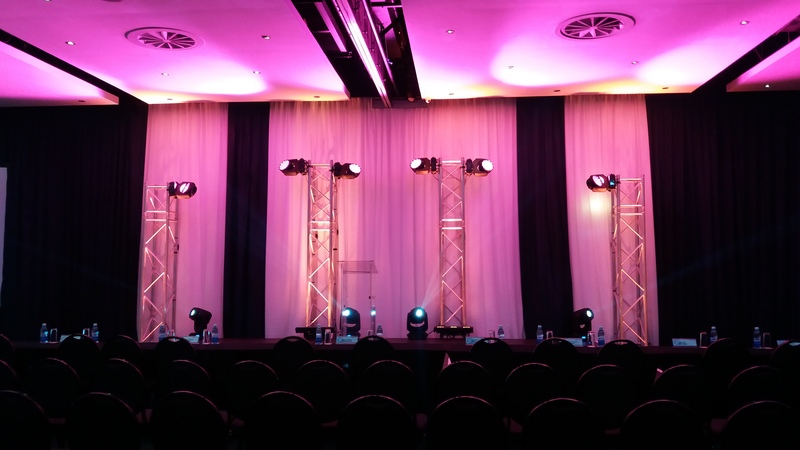 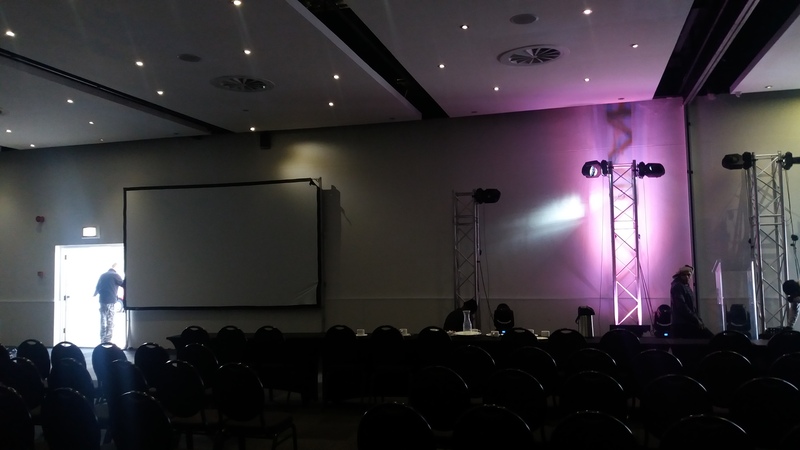 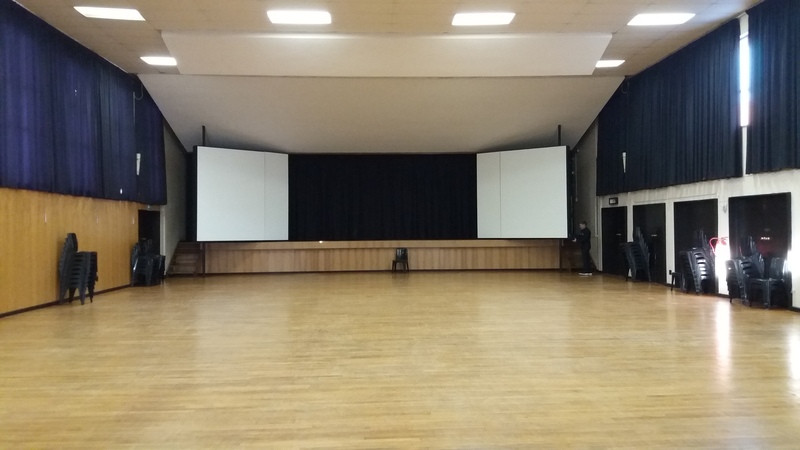 We specialise in draping for all types of events, from weddings and bridal backdrops; to corporate functions and awards ceremonies; to draping for marquees, stage and film; to themed evenings and private functions, and more. 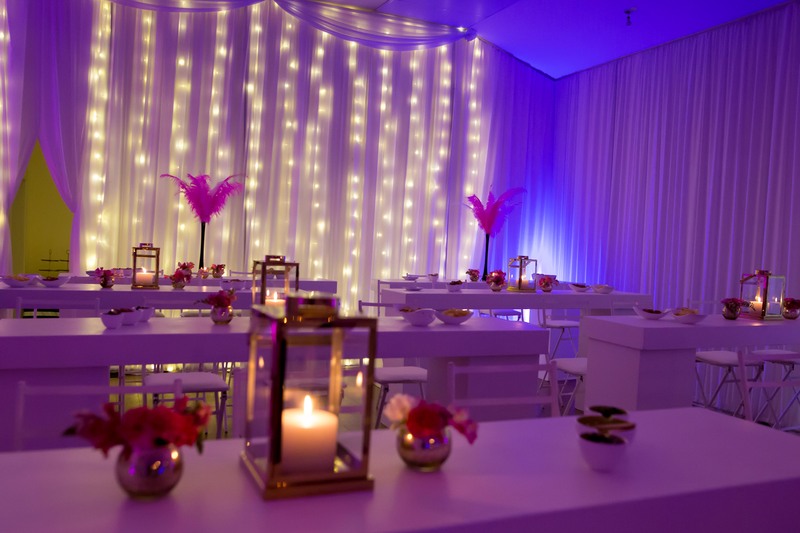 Our team works closely with event coordinators; wedding planners; banqueting managers; sound & stage teams; filmmakers; florists and décor specialists as well as private individuals. 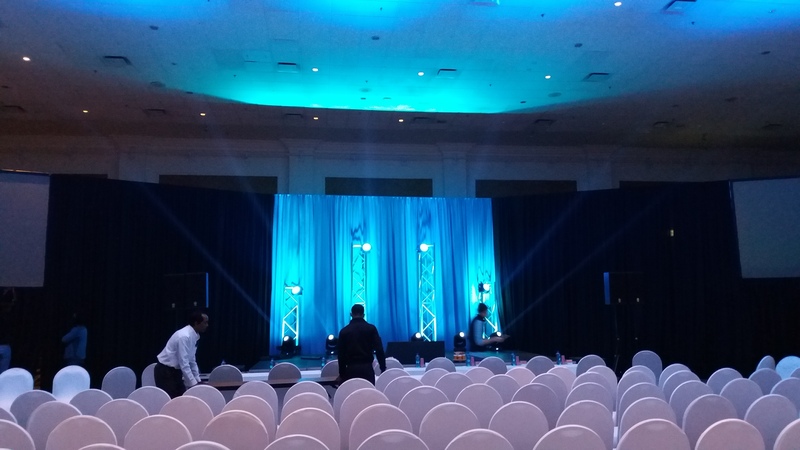 We make sure our work is an integral part of the overall design, enhancing and complementing the décor and ambience of the venue. 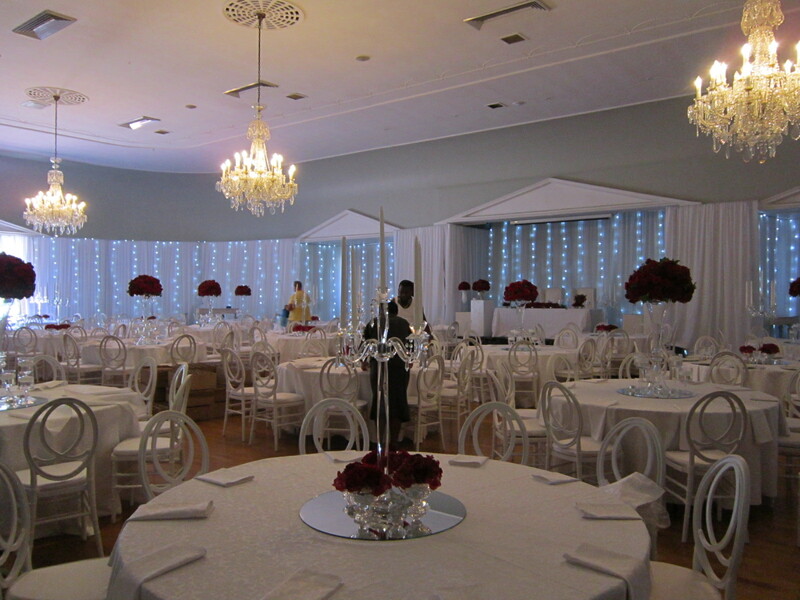 No two weddings are the same and each wedding venue offers something different. 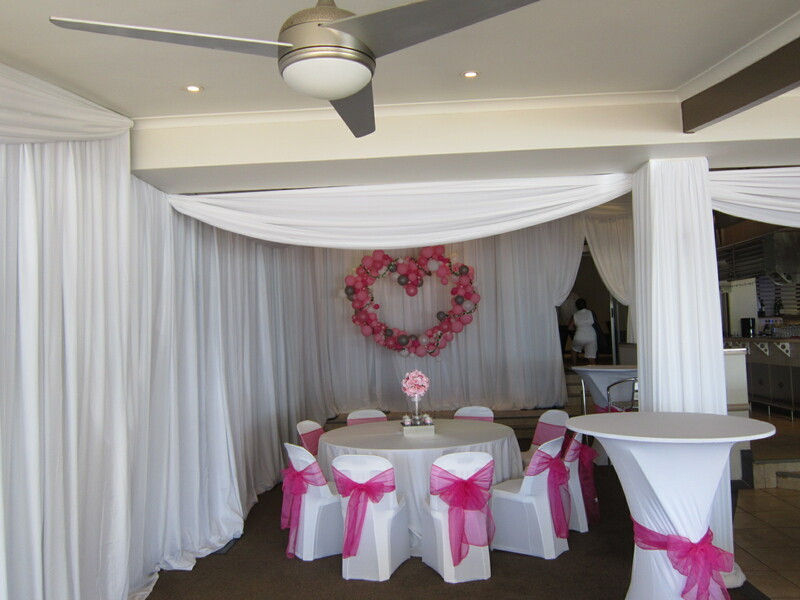 For your special day, you want draping and décor that reflect who you are. 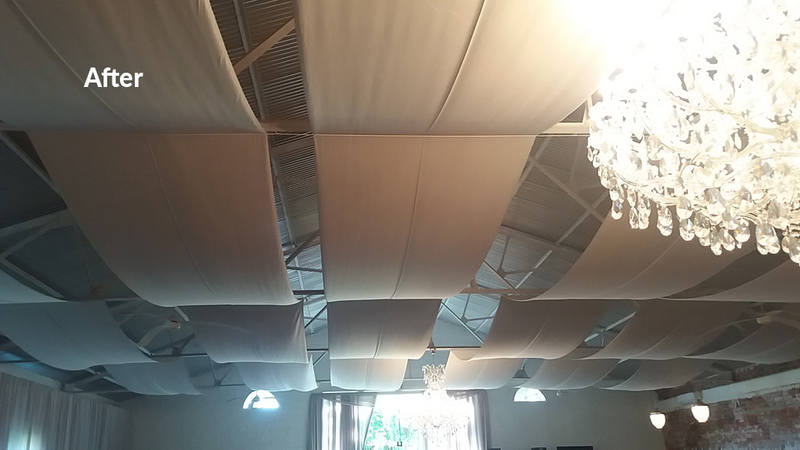 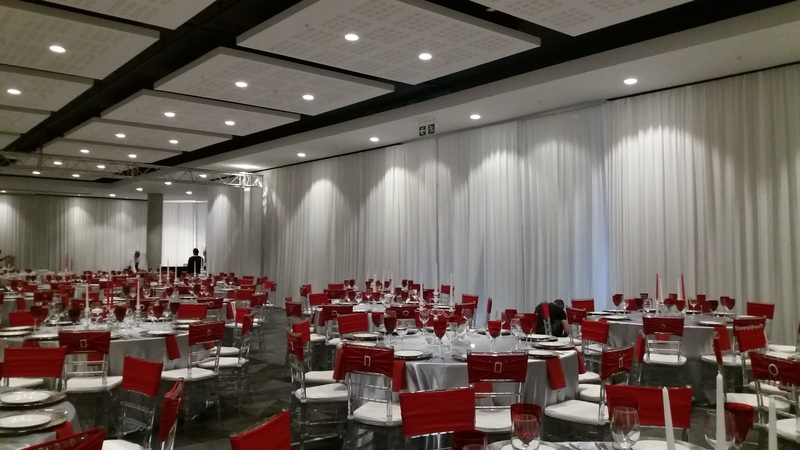 The team at The Events Draping Co. will take the time to find a creative draping solution that works for your overall décor as well as for the venue you’ve chosen. 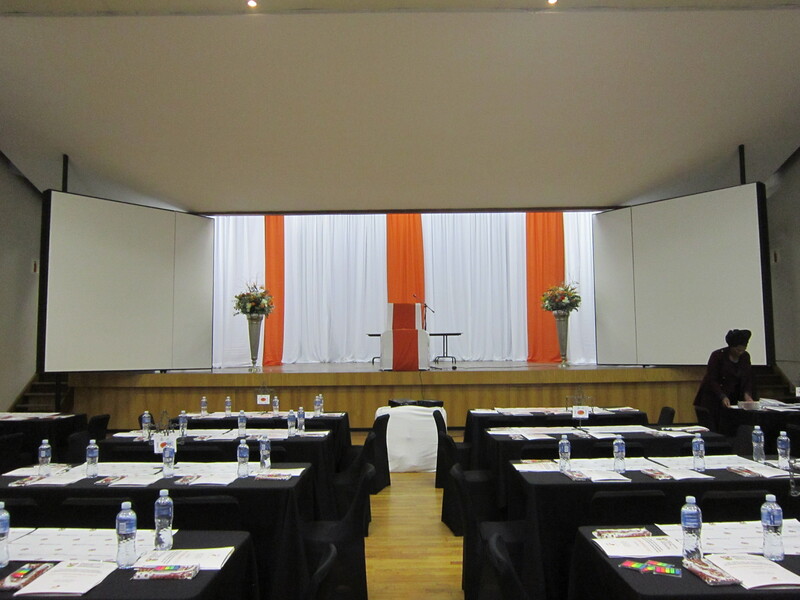 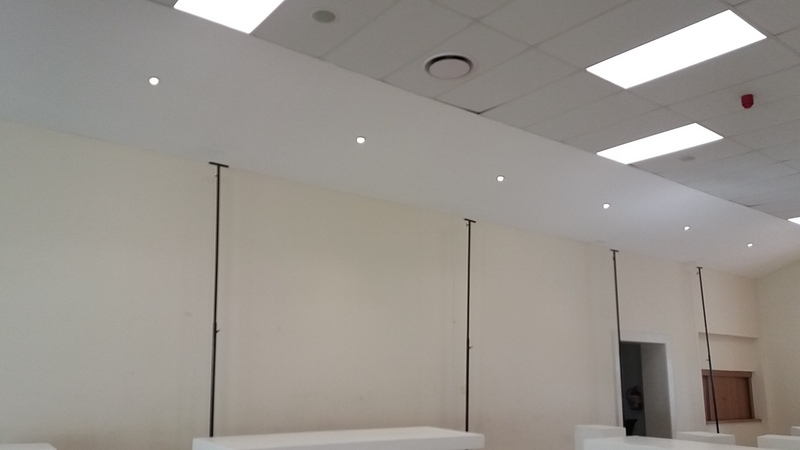 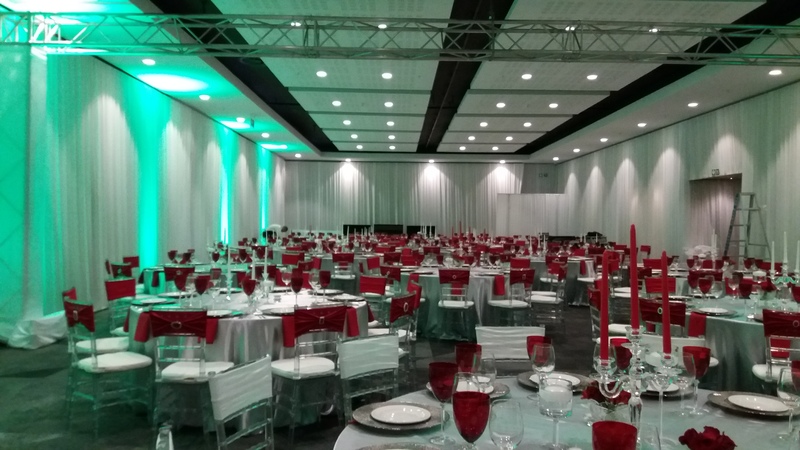 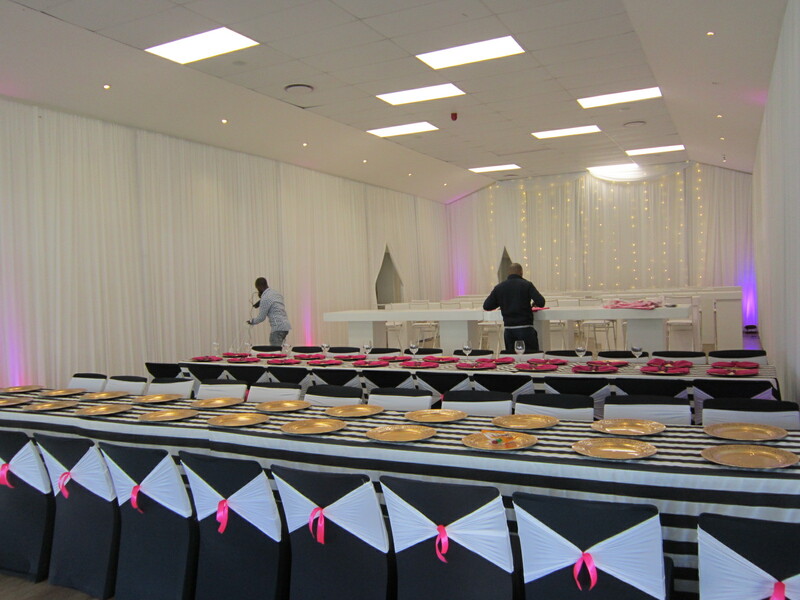 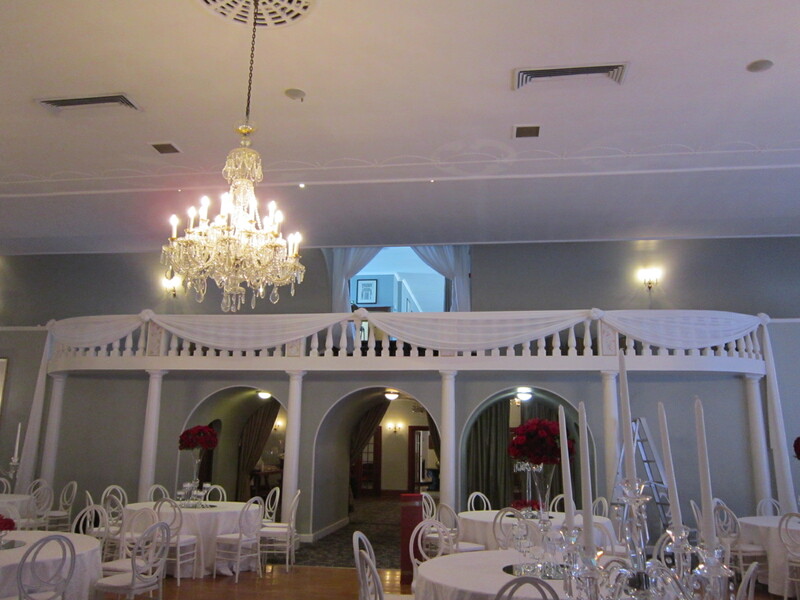 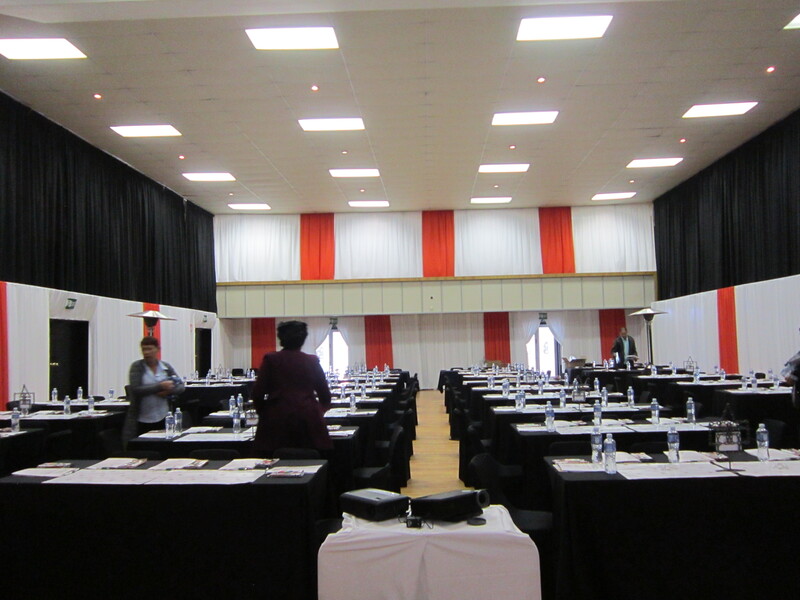 By just draping the walls, a dull room will immediately be transformed into a stylish venue. 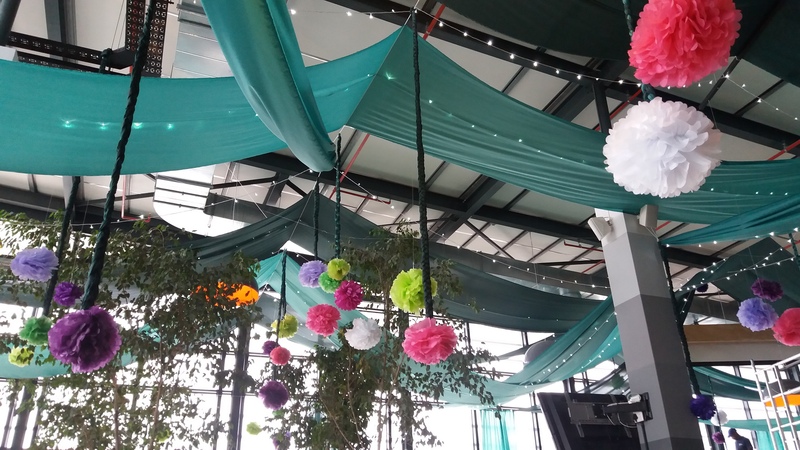 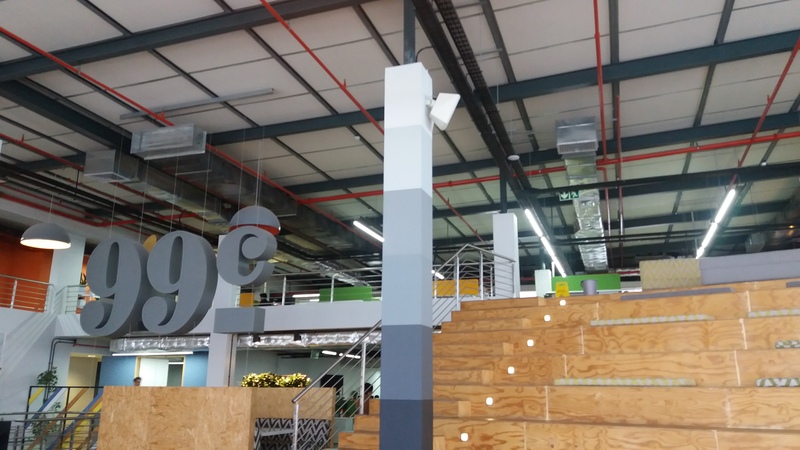 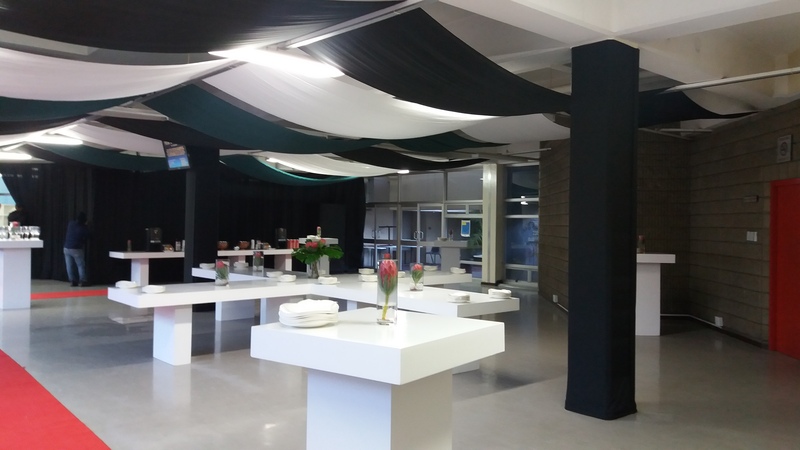 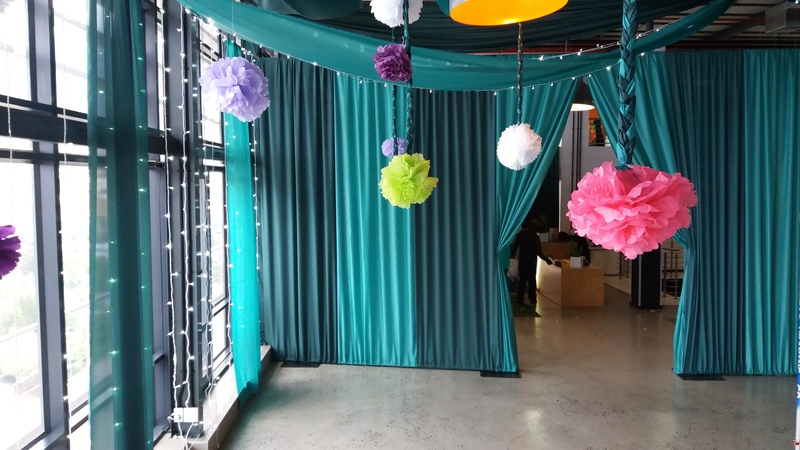 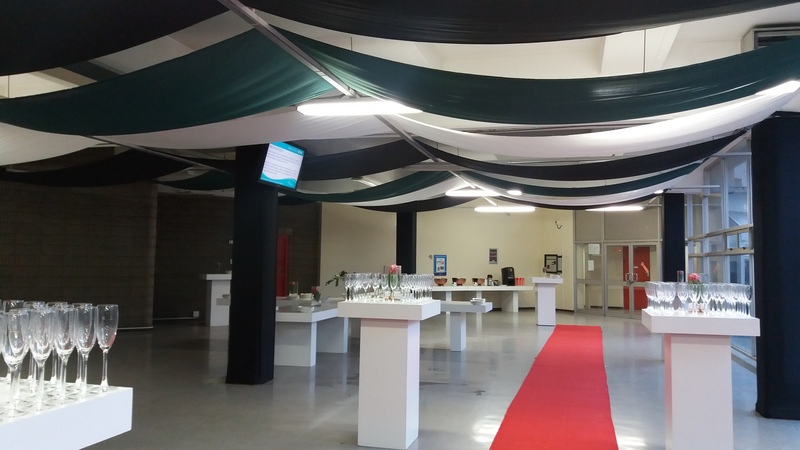 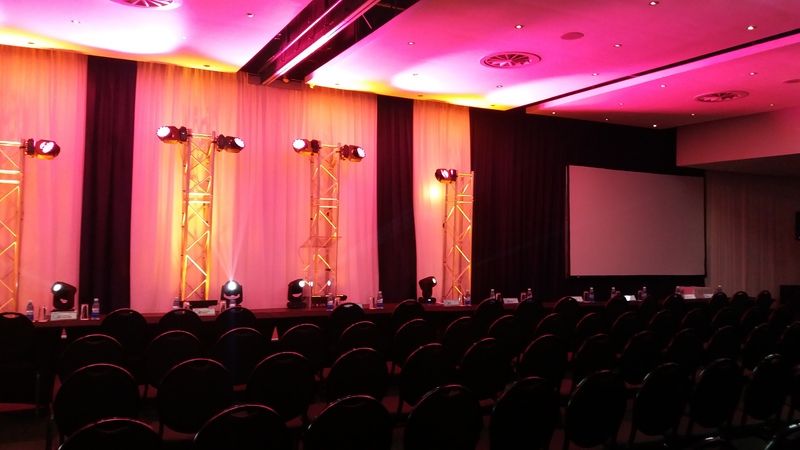 Even a great venue will be enhanced by subtle touches of draping or an elegant entrance, while swag overlays and colour details will make all the difference to the look and feel of your venue. 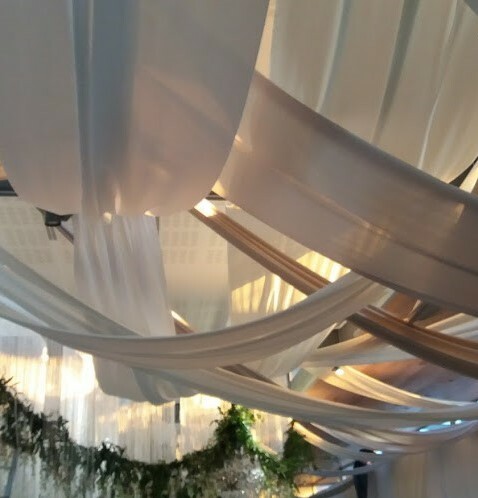 Strip draping will soften the ceiling or just create a bit of excitement, and, if you add fairy lights or uplighters, you’ll bring a touch of magic to the whole wedding. 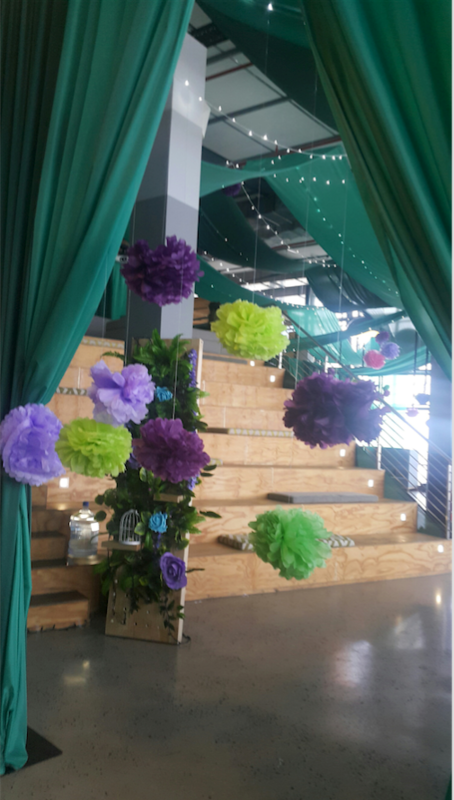 It’s a celebration after all! 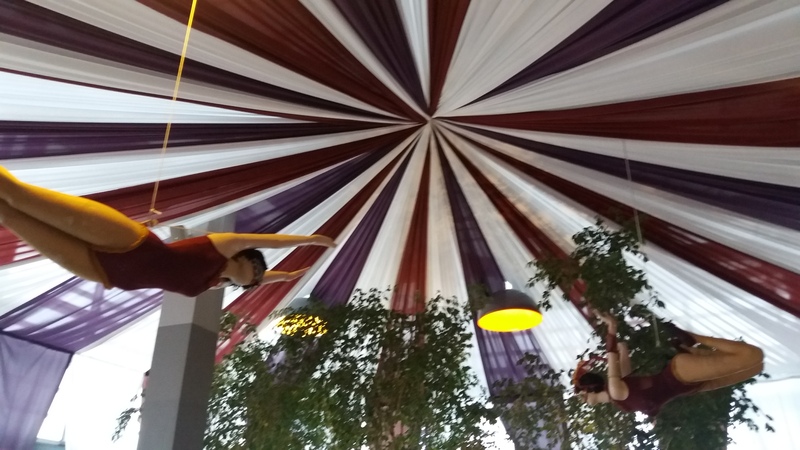 It’s your day, so it makes sense that the focus is on you. 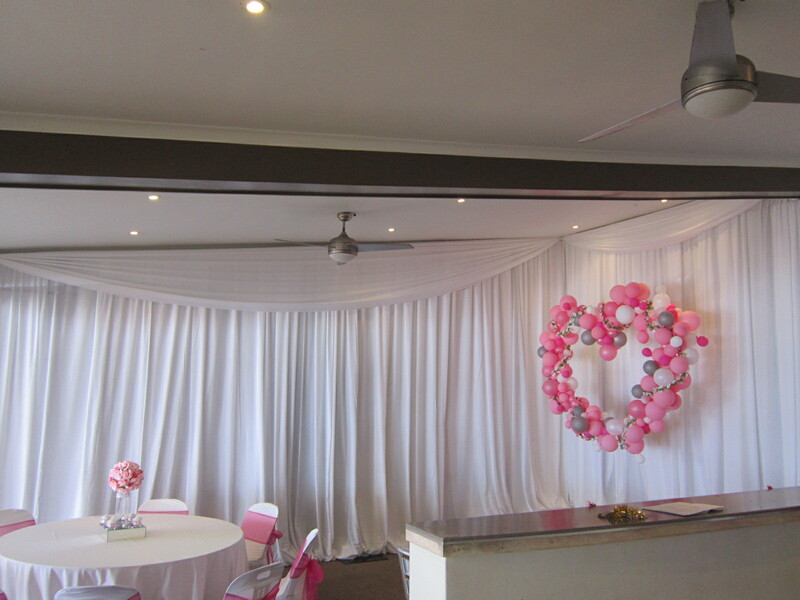 An elegant and easy way of doing this is to drape a bridal backdrop behind the main table. 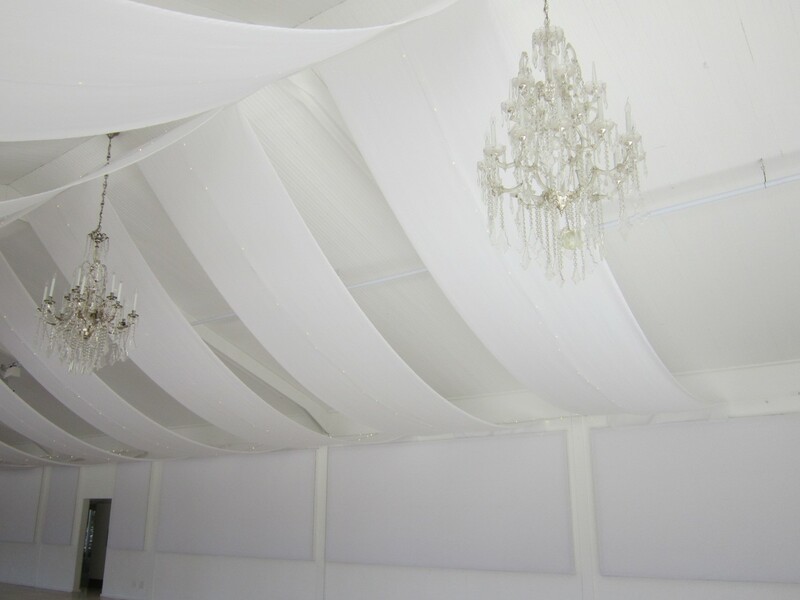 You choose what kind of style you prefer: clean & classic, with simple, clear lines; or splendidly full, with swags and fairy lights; or a combination of styles. 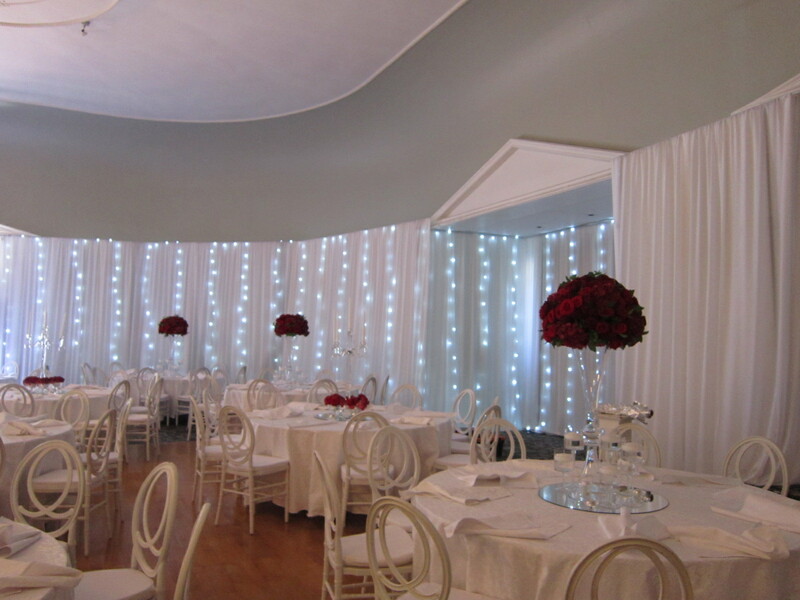 The Events Draping Co. will create a bridal backdrop that reflects what your wedding is all about. 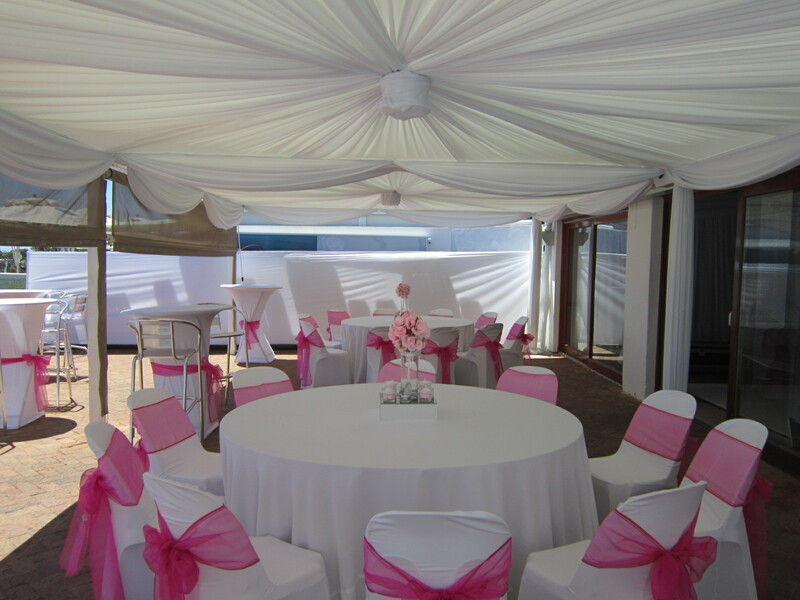 Marquees are wonderfully versatile venues. 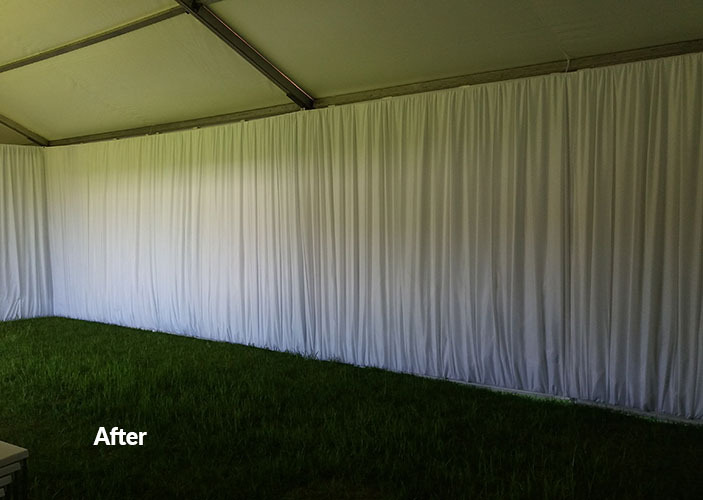 For a special event, drape the interior of the marquee so that your guests can experience a stylish setting, no matter where you are. 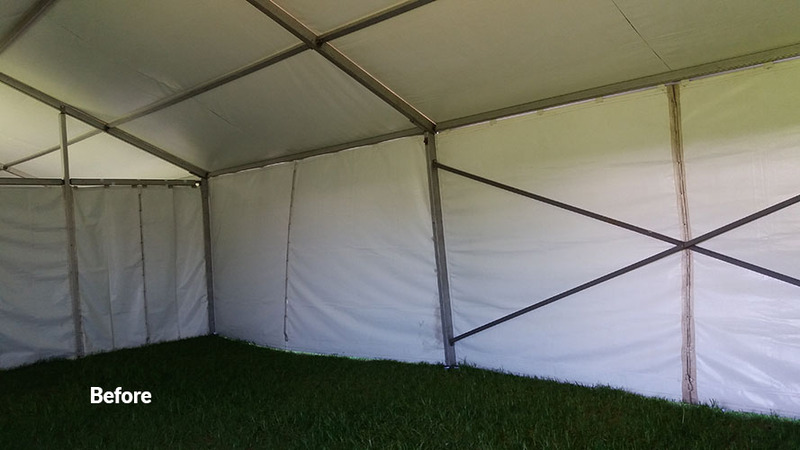 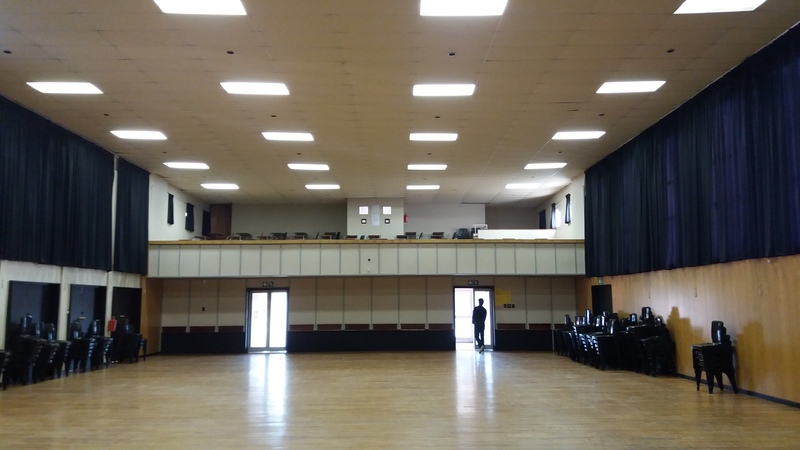 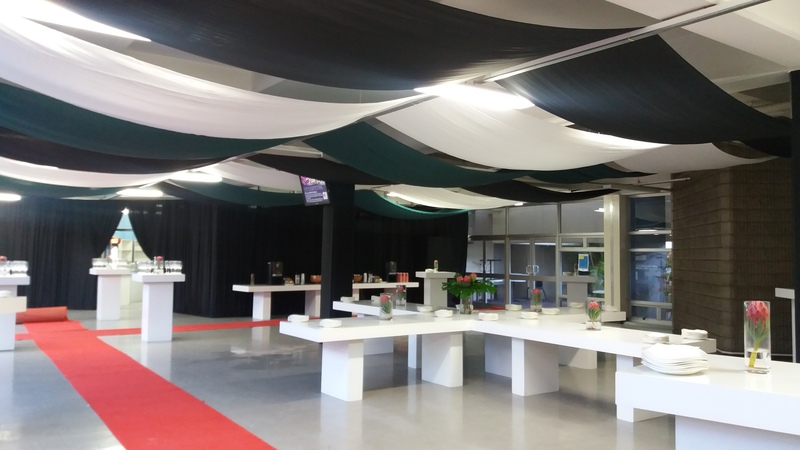 The Events Draping Co. is highly experienced in draping marquees of all sizes, from massive marquees for corporate functions; to smaller marquees for private parties; to snow peaks for individual use. 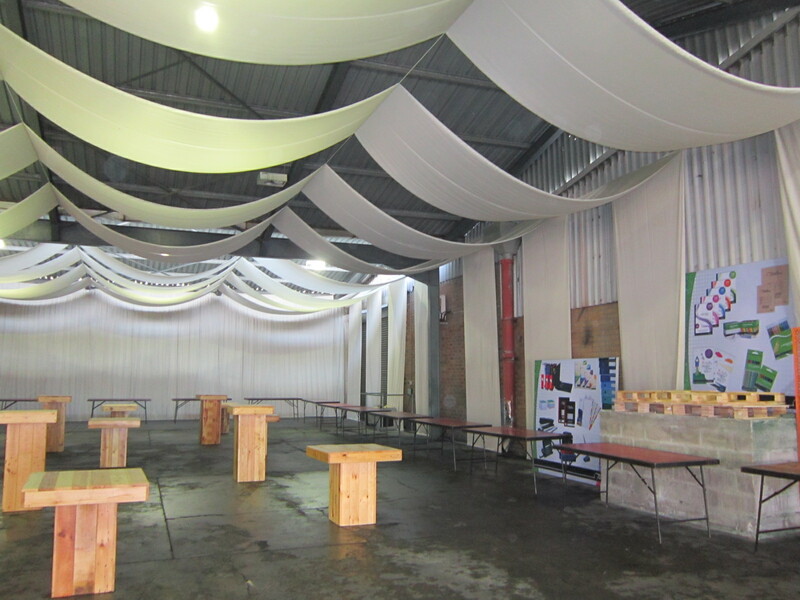 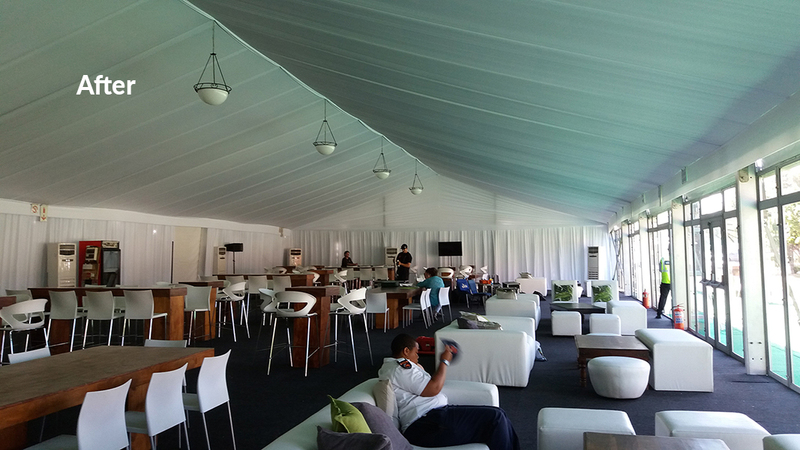 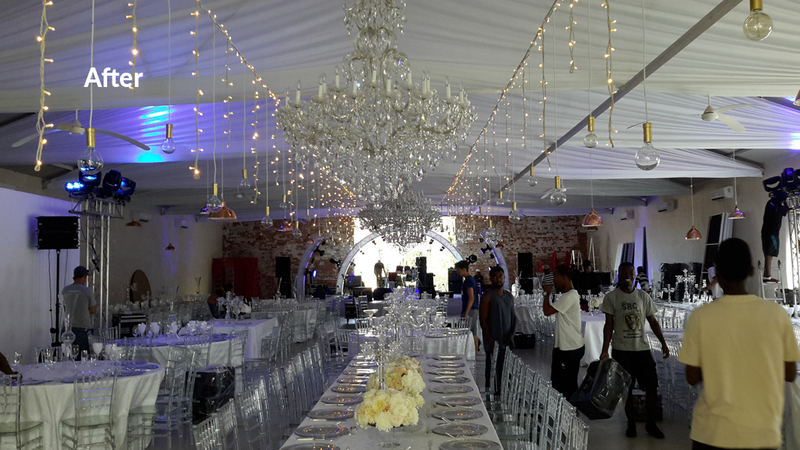 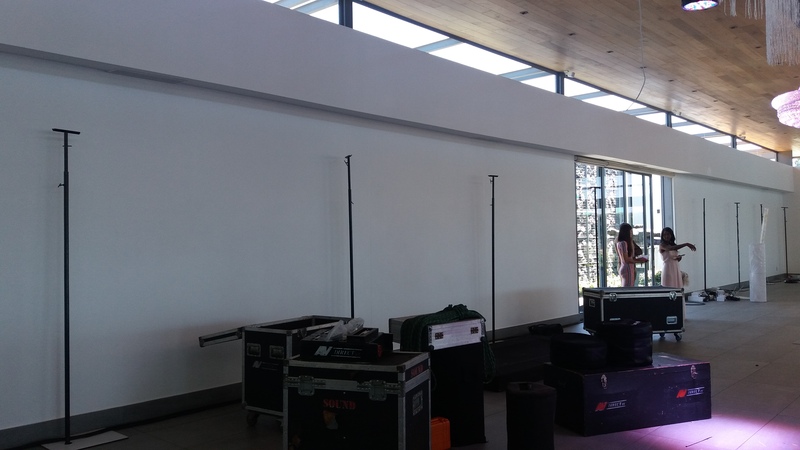 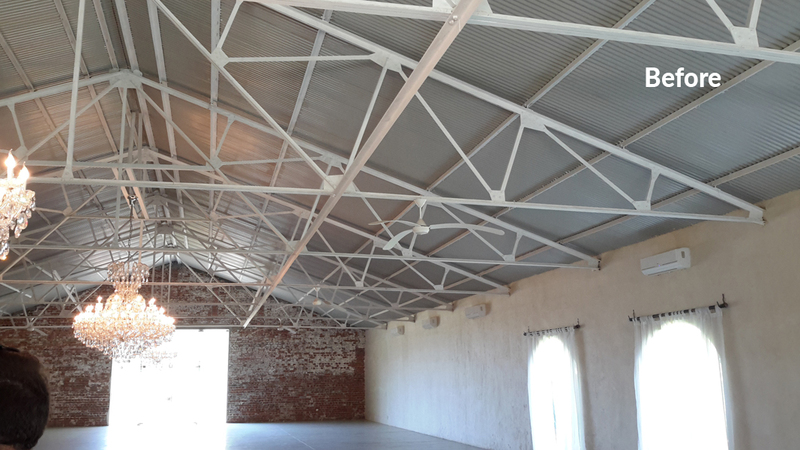 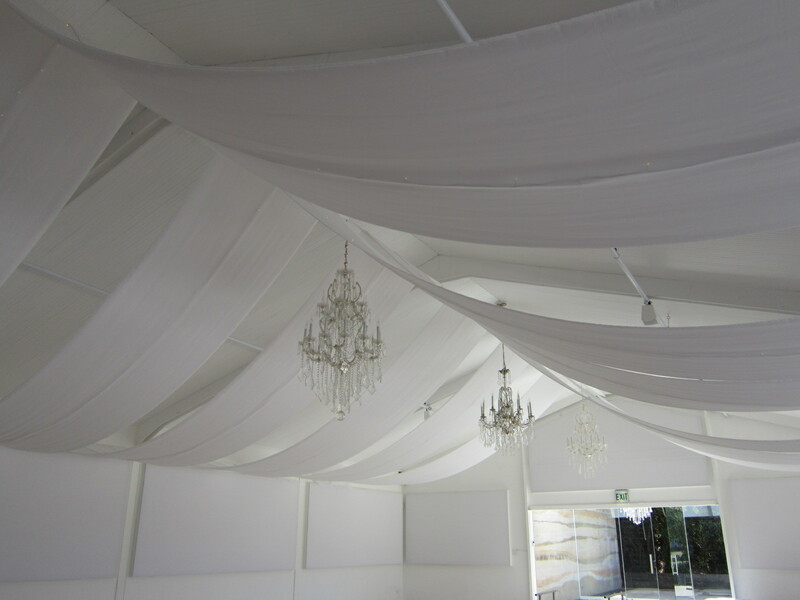 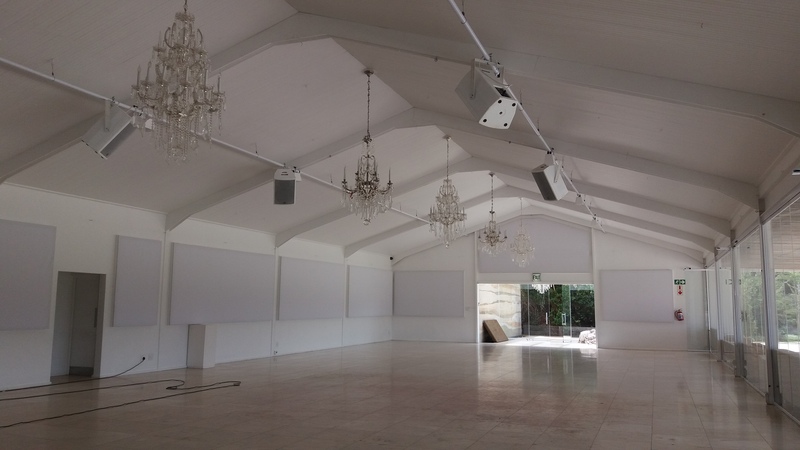 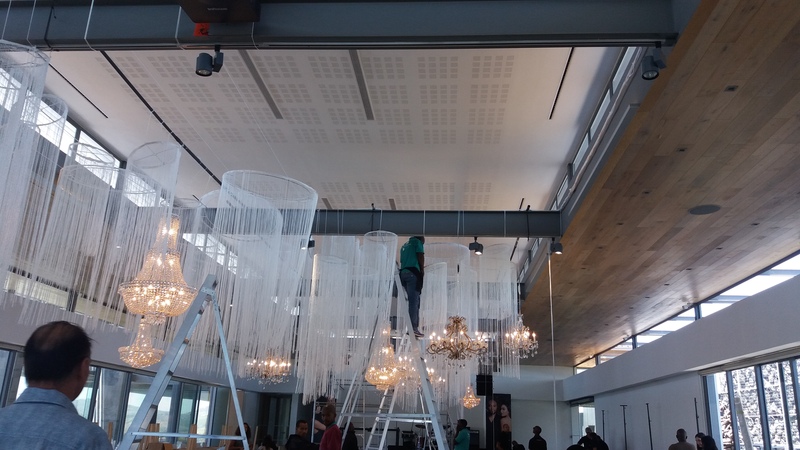 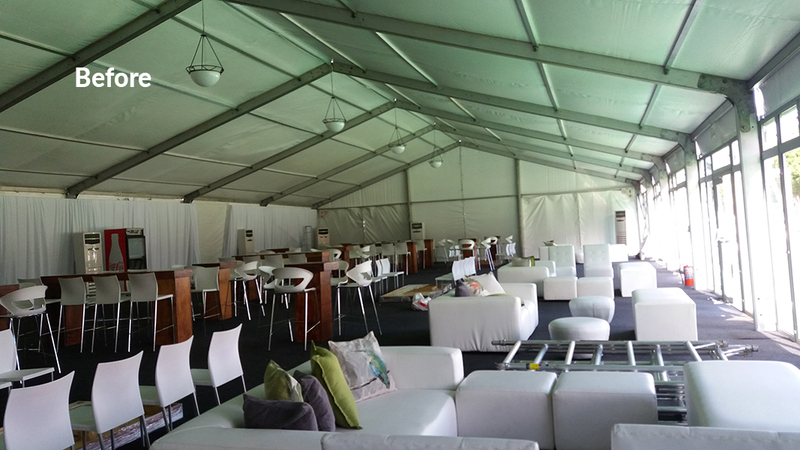 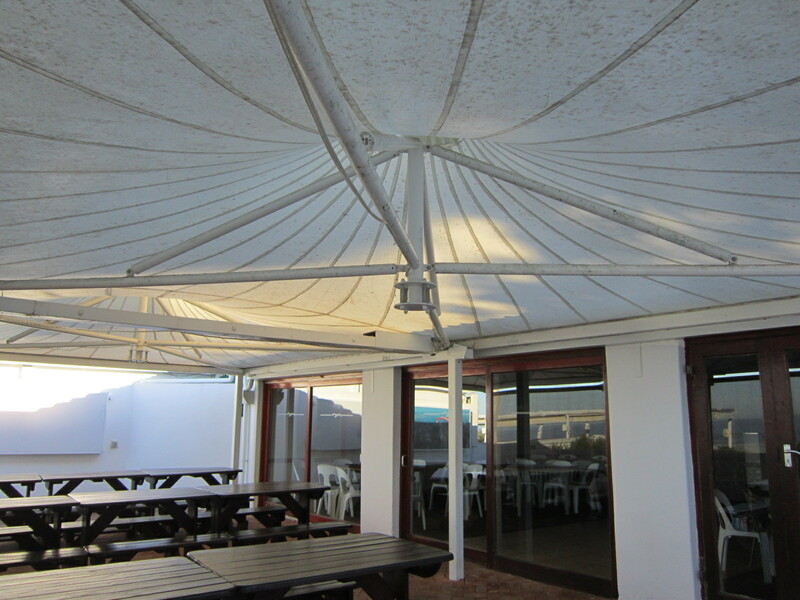 The draping team takes the shell of the marquee and transforms it into a perfect function venue. 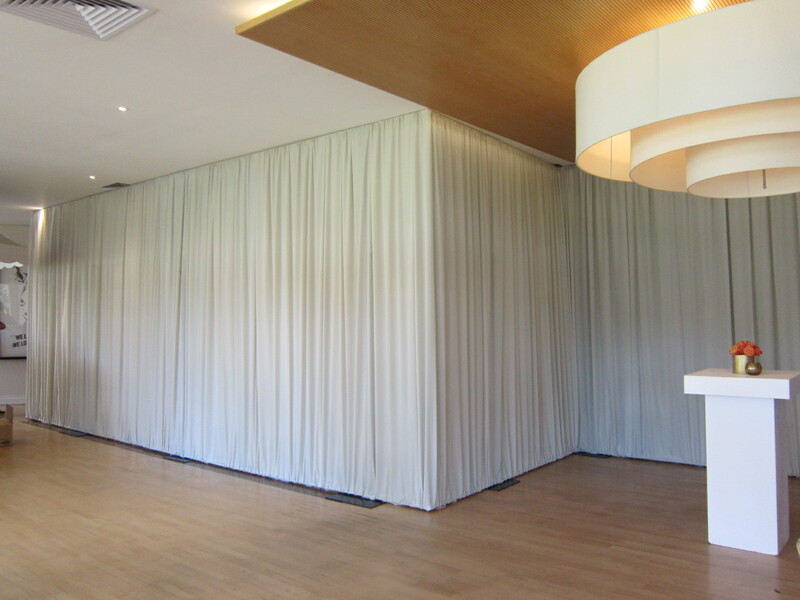 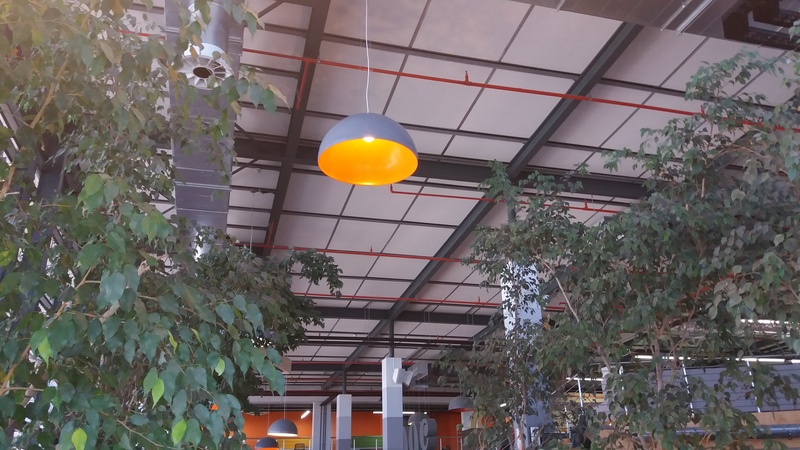 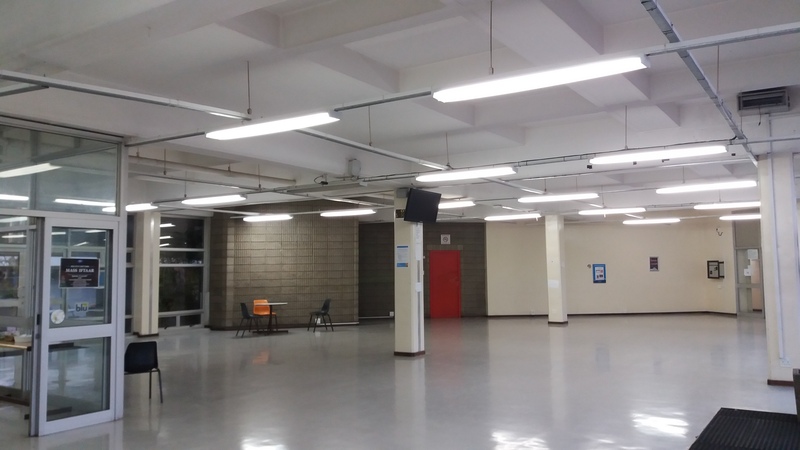 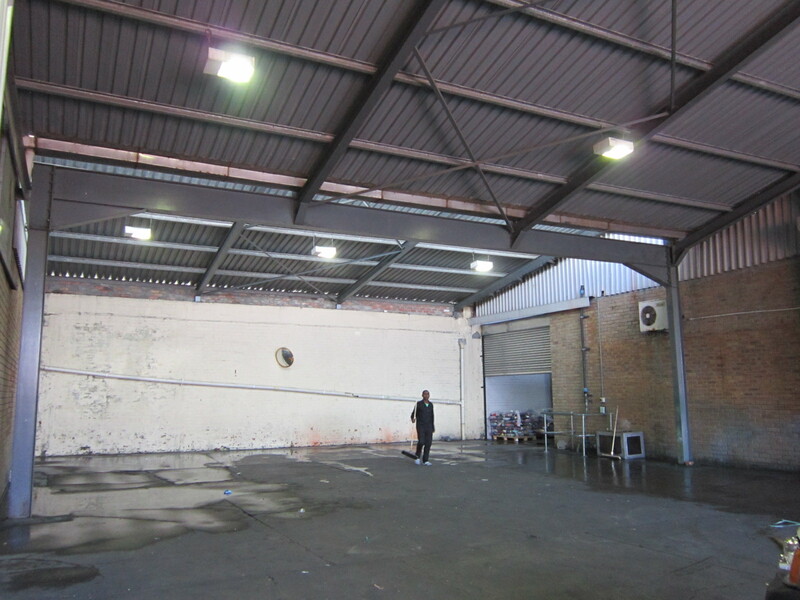 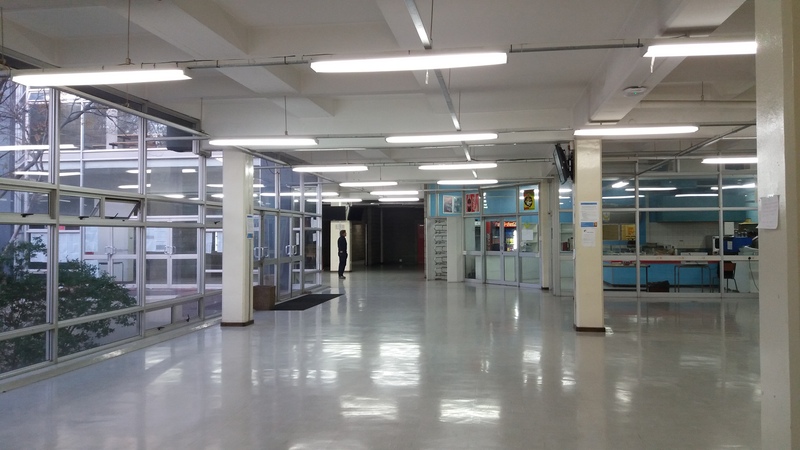 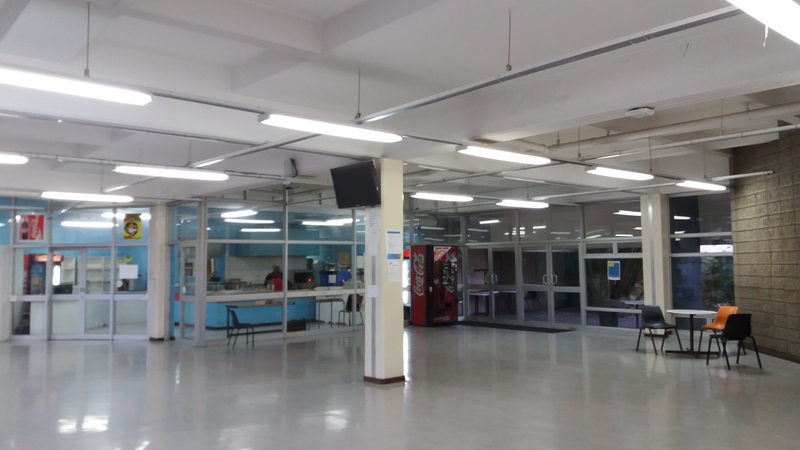 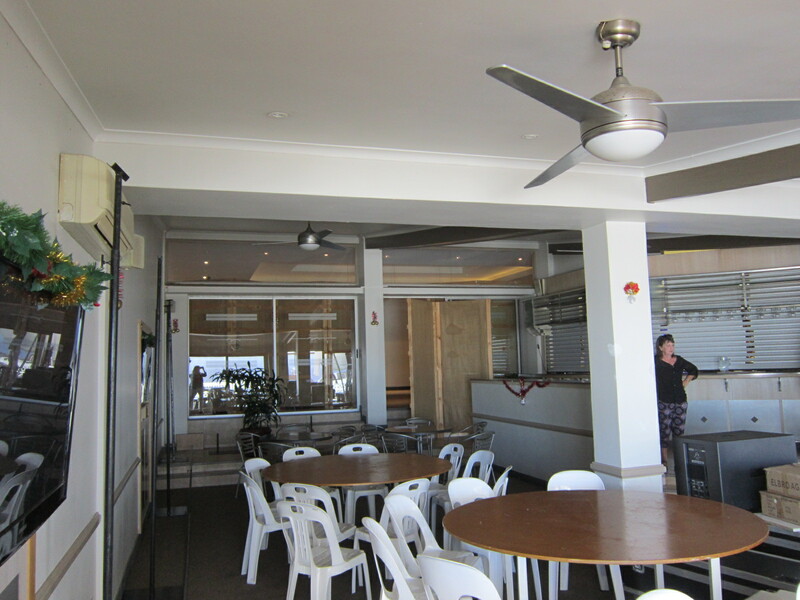 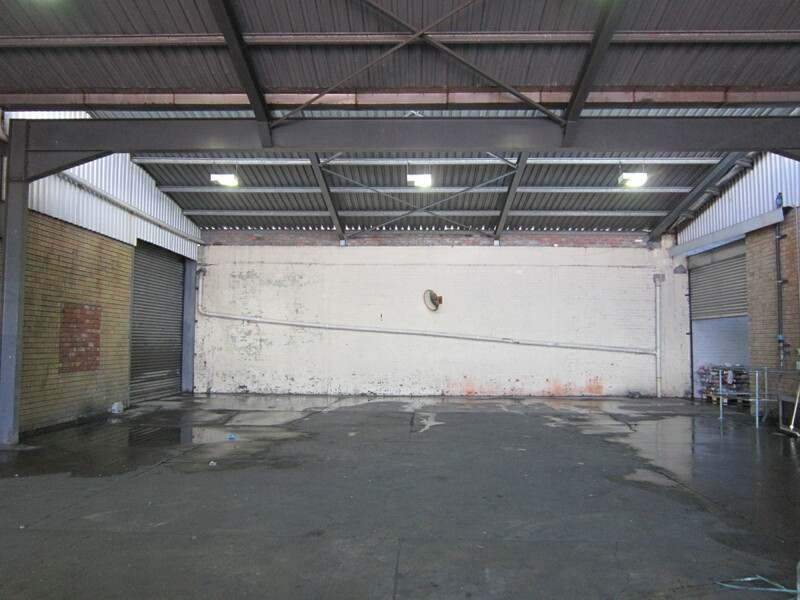 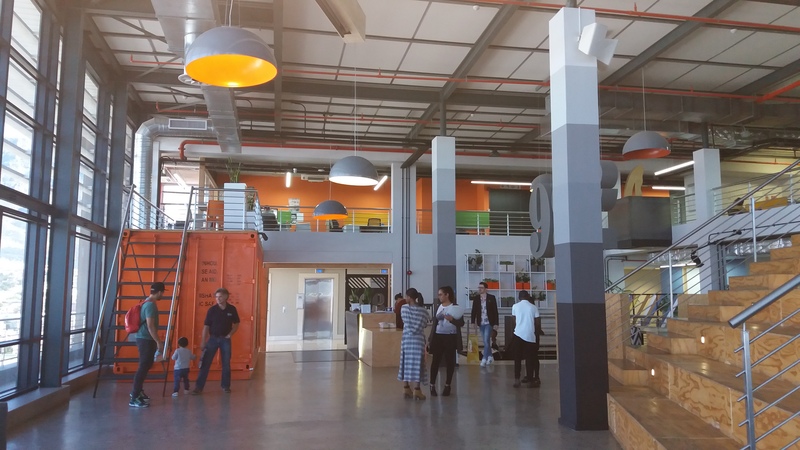 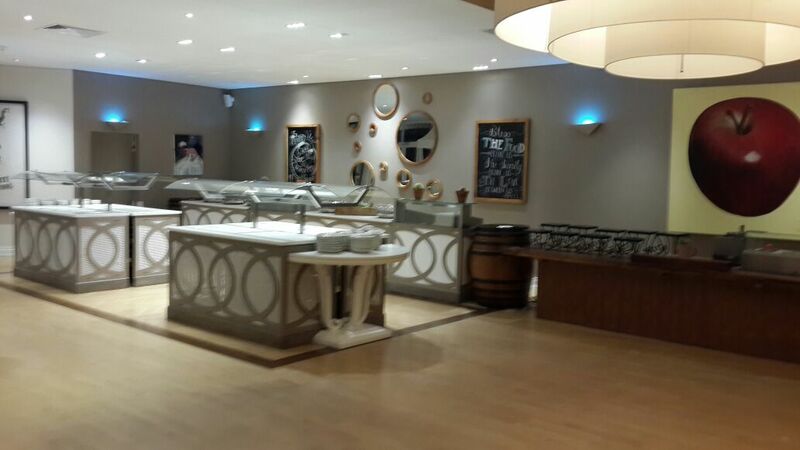 We’re fast and neat and professional and use only quality fabrics from floor to ceiling. 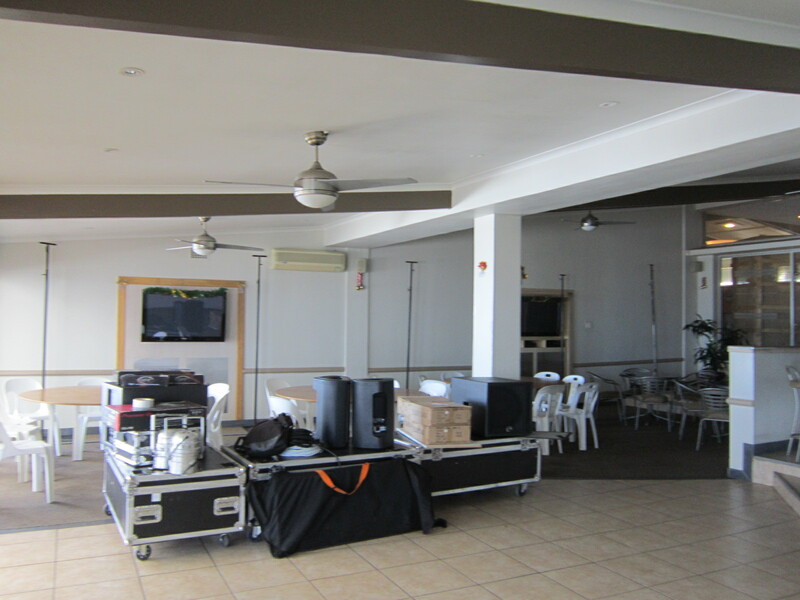 Putting together a corporate event takes a lot of organising. 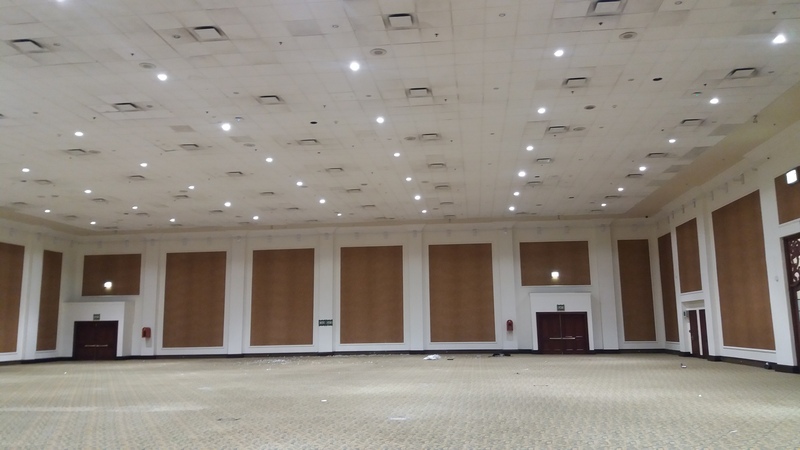 You have enough to do without worrying about what the room looks like. 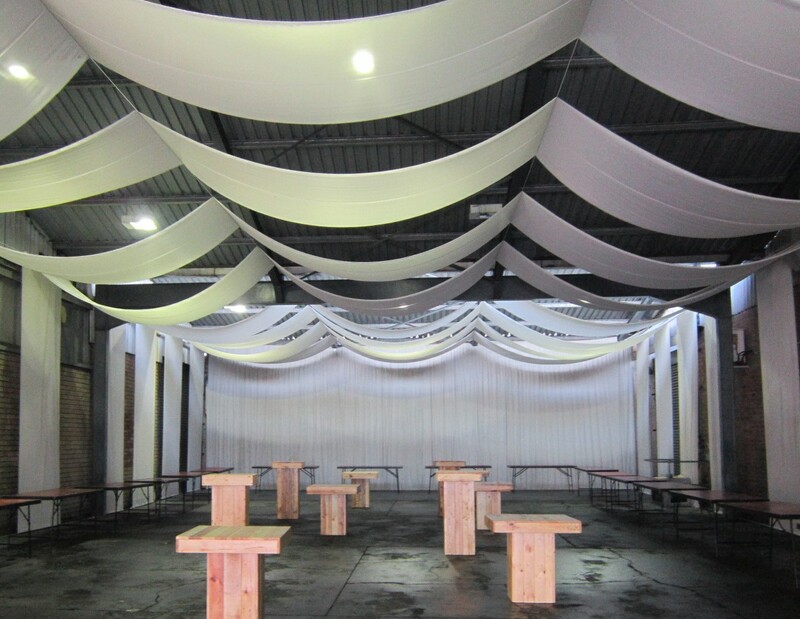 The Events Draping Co. team has draped the interiors of all kinds of function venues. 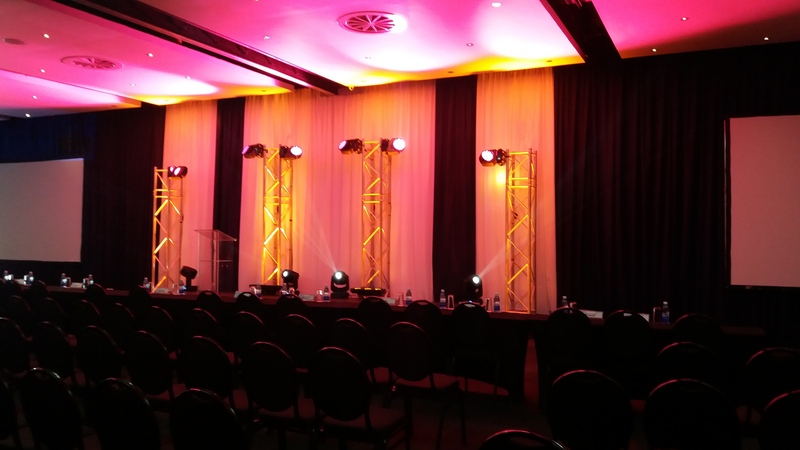 We know our way around corporate events and the highly professional draping service we offer will make all the difference to your corporate function; conference; gala evening; award ceremony or product launch. 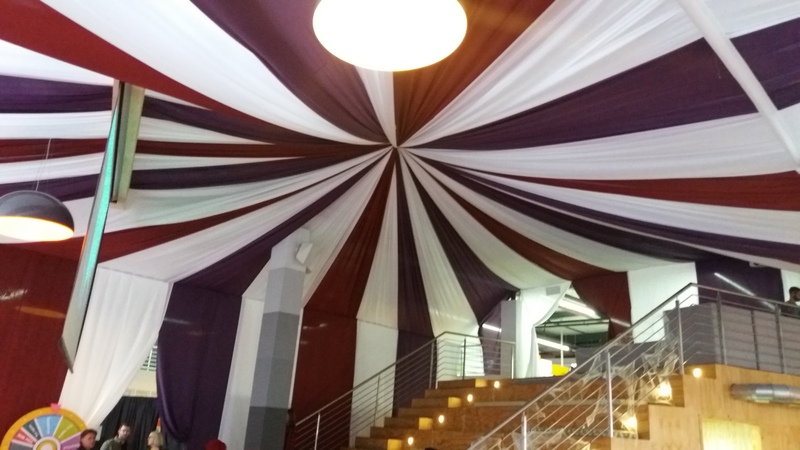 We work with coordinators and clients to come up with the best draping solution for your corporate function, be it formal and elegant for your gala evening; an innovative combination for your product launch; something festive for your year-end function or a totally different take for your themed evening or party.